These are just a few of the projects we've been working on. The District's most famous address for Rock'n'Roll is 815 V St NW, home of the 9:30 Club. Since 2011, Technolutionary has rebuilt the club's wireless and wired network, expanding redundancy and reliability, and a switch to Voice over IP telephony has saved the company thousands of dollars a month. 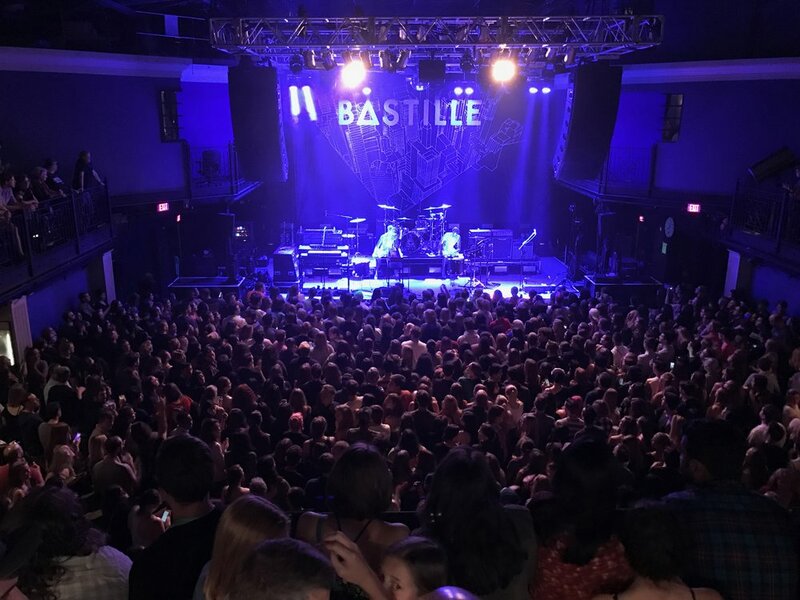 Proactive information technology has let the 9:30 Club and its parent company, It's My Party, grow to support more venues and staff without ballooning their budget. Supporting the Lincoln Theatre, Merriweather Post Pavilion, the 9:30 Club, The Anthem and their Headquarters Offices, Technolutionary support more than 150 users across seven sites. We've helped Navanti Group navigate the rivers of growth, from a 10-person firm in shared office space to almost a hundred staff in their very first office. Technolutionary helped construct an environment that focused on mobility and security, allowing their staff to work remotely without compromising on security. We've managed their servers and deployment structures, built a new, centralized Wi-Fi network, and kept the organization focused on the long-term while riding herd on the present. From telephony to cloud services, Technolutionary has kept Navanti's costs low while keeping productivity high, no matter where around the world they are. The Society for Human Resource Management turned to Technolutionary when it came time to integrate their creative department's new Macs with their Active Directory environment, and to support their creative department's mission. Technolutionary helped build a new deployment and software update system designed to keep their Macs up-to-date without putting their workflows at risk. Conducting on-going work with the SHRM IT Operations and Networking Team, Technolutionary has helped SHRM provide a secure and productive desktop experience for their team of creative professionals.The Society for Human Resource Management turned to Technolutionary when it came time to integrate their creative department's new Macs with their Active Directory environment, and to support their creative department's mission. Technolutionary helped build a new deployment and software update system designed to keep their Macs up-to-date without putting their workflows at risk. Conducting on-going work with the SHRM IT Operations and Networking Team, Technolutionary has helped SHRM provide a secure and productive desktop experience for their team of creative professionals.